"Dractic increase amounting 33% of fleet productivity per hour & reduction of fuel consumption by 16%." Maximize the productivity of your fleet team by eliminating unnecessary costs such as asset missing, extensive idling and unauthorised activity. 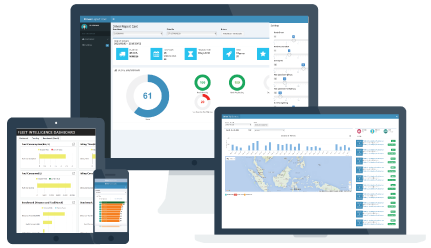 Improve vehicle utilization through eye on screen of monitoring to have a better control on drivers, routes, cargo and delivery schedules. All are generated in an easy-to-read format. 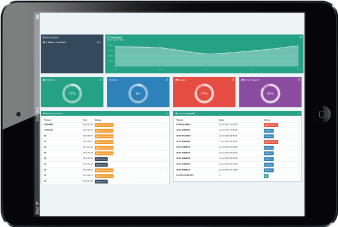 Can be printed,saved and export as stroage file which will definitely make a real impact on ROI by turning fleet data into useful and actionable information. Replay the historical data of vehicle with just a few simple clicks. Complete display of dates, times, locations and speeds. Real-Time alerts on any speeding, idling, powercut, panic, ignition, hotspot event. Tight control on all of the fuel activity through alert. You know exactly where (Map & Address), when (Date & Time) and how much diesel (Litre & RM) refuelled,consumed and stolen. Cost analysis and intelligent fuel efficiency report. 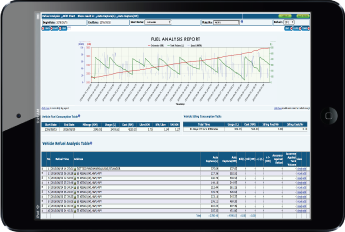 Project a better picture on your fleet's fuel consumption demand, trend and patterns. With a proper control on all of the activity, your fleet team will definitely run lean. Monitor and track fuel inventories. A paperless tracking system on all of the fuel purchases. Historical fuel data will be able to trace easily. 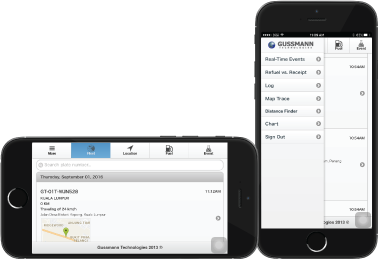 With GUSSMANN GPS Fleet Management Apps, you can access key information about your fleet anytime & anywhere. REPORT THAT CAN MAKE REAL IMPACT ON "ROI"
Upto 30% is the differnece between KM/L of the best and worst driver in a fleet. It can lower your gas mileage by 33% at highway speeds and by 5% around town. Preventive maintenance will typically result in at least a 25% reduction in vehicle downtime. Poor maintenace practices can reduce the life expectancy of equipment or parts by upto 30%. Get set up and make changes as you develop with only few mouse clicks. 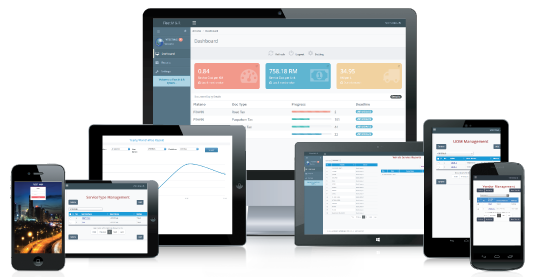 Additionally, easily customize the system to work the same way you do.